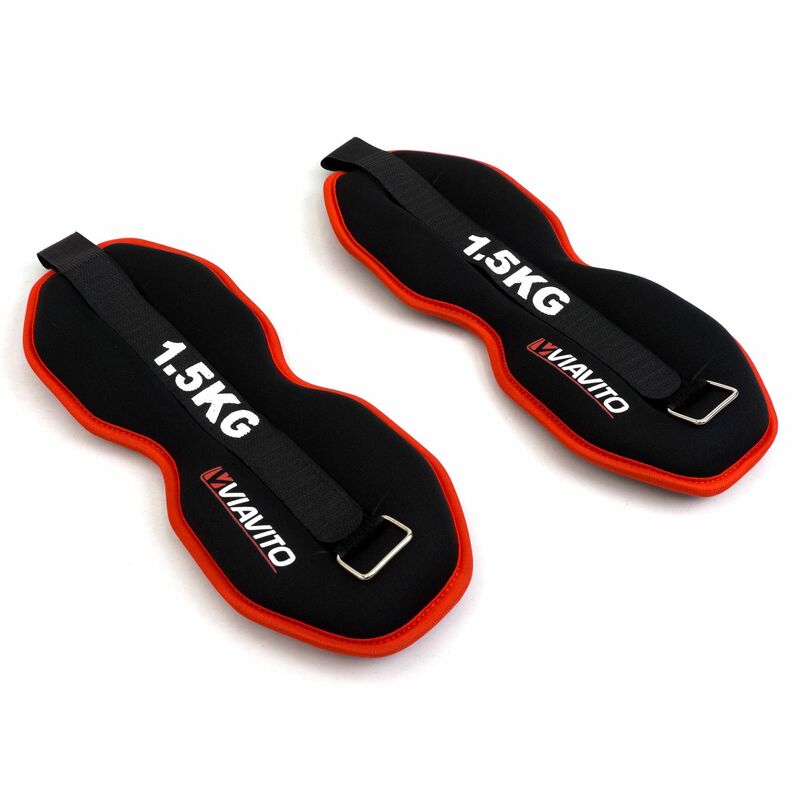 Attach these two Viavito 1.5kg ankle weights to add to the intensity and effectiveness of your exercise routine. For those looking to tone or strengthen their leg muscles, these will be a great addition and work well with leg exercises in a variety of positions. Perform drills whilst standing up, sitting down, lying on your back or stomach, or kneeling on your hands and knees and feel the resistance be raised a notch. They are easy to put on and ensure a comfortable fit around your ankles, secured in place by the Velcro closure and buckle. The neoprene material is soft and the 1.5kg (3.3lbs) weights certainly look the part too. for submitting product information about Viavito 2 x 1.5kg Ankle Weights We aim to answer all questions within 2-3 days. 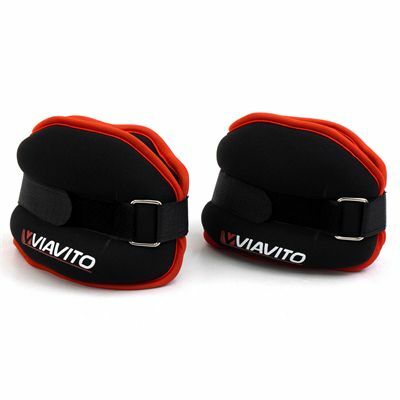 for submitting product information about Viavito 2 x 1.5kg Ankle Weights. We aim to answer all questions within 2-3 days. If you provided your name and email address, we will email you as soon as the answer is published. Good value for money. A bit too big for your ankles though. Poor material, iron fillings keep on falling out making mess everywhere! I bought a few sets of these for myself and friends for athletics training. Definitely feeling a difference after using them for a few weeks :) Will try the wrist weights next! 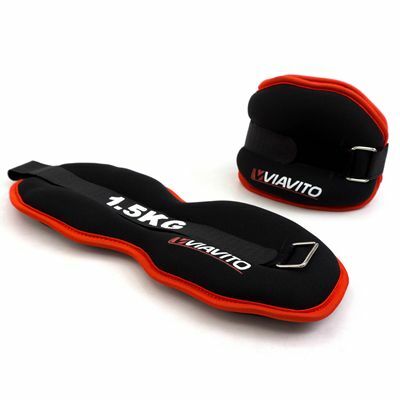 for submitting product review about Viavito 2 x 1.5kg Ankle Weights.